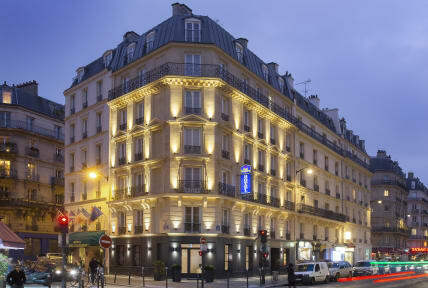 Best Western Quartier latin Panthéon, Paryż, Francja : Rezerwuj teraz! 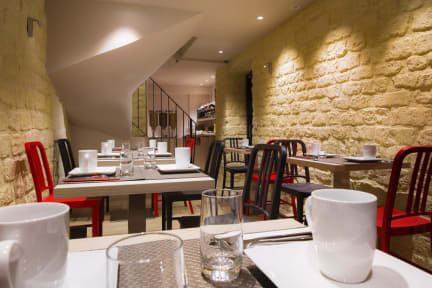 The Best Western Hotel Quartier Latin Panthéon Paris is ideally located in the heart of the Latin Quarter, within walking distance from the rue Mouffetard, The Pantheon, the Botanical Gardens and the National History Museum, and Notre Dame Cathedral. TV, direct dial phones, automatic alarm clocks, air conditioning and a wireless internet connexion. Laundry service; Lift; Pets allowed; 1 child under 12 free of charge in room of 2 paying adults, on request; Wi-Fi access; Public car park charge applies.